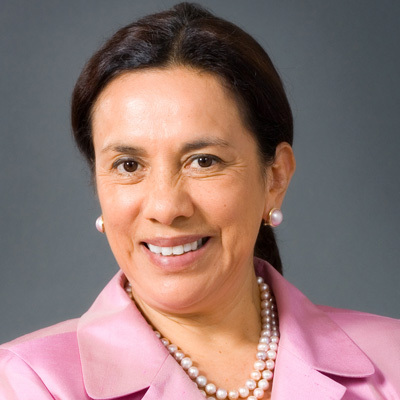 Nationally regarded for her expertise in immigration, philanthropy and civil rights, Antonia Hernández has spent more than four decades advocating for social justice and improving the lives of underserved communities in Los Angeles County and beyond. Since 2004, she has served as President and Chief Executive Officer of the California Community Foundation, one of Southern California’s largest and most active philanthropic organizations, which has served Angelenos for over a century. The Foundation partners with more than 1,600 individual, family and corporate donors and holds $1.7 billion in assets. During her tenure, the California Community Foundation has granted nearly $2 billion, with a focus on health, housing, education, immigration programs. Previously, Hernández was president and general counsel of the Mexican American Legal Defense and Educational Fund (MALDEF), a national nonprofit litigation and advocacy organization dedicated to protecting the civil rights of the nation’s Latinos through the legal system, community education and research and policy initiatives. Hernández is a member of the boards of directors of the Automobile Club of Southern California, Center on Budget and Policy Priorities, Forest Lawn Memorial-Park Association, Grameen America and The Colonial Williamsburg Foundation. She is also a fellow of the American Academy of Arts and Sciences and the American Law Institute. Hernández earned her B.A. in History at UCLA and J.D. at the UCLA School of Law.